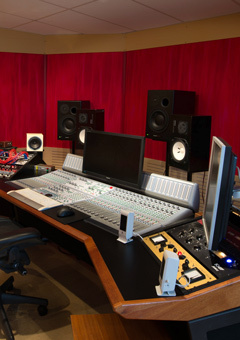 Mikko Raita’s mixing HQ. 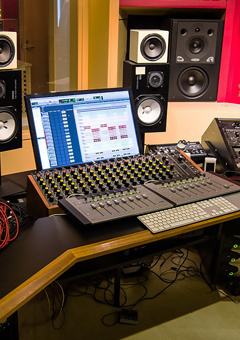 Suberb acoustics with accurate but pleasing 5.1 and stereo monitoring options, select high quality analog gear with a beefy Pro Tools HDX system and a 24 fader D-Command controller for the maximum in creative mixing and automation control. Cosy control room, racks of hot analog gear, ProTools HDX, accurate monitoring and a great vibe for making and mixing music. That’s what we like! Control room 2 is shared by Julius Mauranen and Janne Riionheimo. Classic Neumann tube mics, comfortably sized space with an inspiring vibe. Exactly what you need for a great performance. Also includes an extra ProTools editing station for the busiest of times.